PASTOR ADEBOYE DEY KAMPE.....STOP THE RUMOURS! Pastor Enoch Adejare Adeboye remains the General Overseer, Worldwide of The Redeemed Christian Church of God. 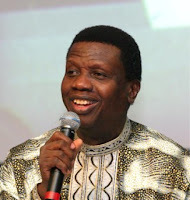 A statement signed by Leke Adeboye, the clergyman’s last son and Personal Assistant said the clarification is coming on the heels of misrepresentation of Pastor E. A. Adeboye’s announcement at the Annual Ministers Thanksgiving held at the redemption camp today that the Church Nigeria is now to be led by Pastor Joseph Obayemi.